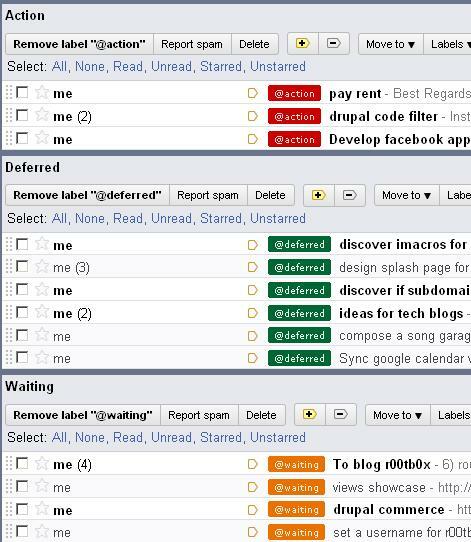 Journaling the Journey: GTD: Getting Things Done with Gmail! GTD: Getting Things Done with Gmail! Getting Things Done (GTD) is a method of organising tasks in a stress-free way while boosting the productivity at the same time. There are a lot of commercial software which can be used to adopt this method but one can use Gmail for free! After adopting the GTD approach through Gmail, my productivity increased dramatically! While explaining the GTD methodology is not within the scope of this article, for starters, this model looks at tasks in a different way than the traditional time management philosophy. GTD is based on making it easy to store, track and retrieve all information related to the things that need to be done, hence the name. When you complete the task you can either delete the email or remove the corresponding label. 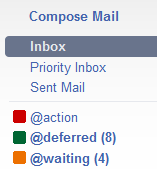 At the end you have nothing but an empty inbox and a set of GTD labelled archived emails representing tasks. You might ask what can we do with emails which are not tasks, such as for example chain emails, jokes, videos or other amusements? Well, we suggest you to read them and archive them, or else give them another label (ex. *others) and check them out later. But remember that you must make sure to archive ALL emails so that the inbox looks nice and empty at any point in time!